There have been several upgrades to OM Plus My-Print-Delivery (MPD) Plus Technologies’ pull-print product (sometimes called print release). The current release is Version 4.0x and many new functions and features have been added. A new means of releasing print jobs from devices called Secure Queue Release (SQR) has been added to MPD. This is a useful way to release jobs in healthcare where documents are routed to exam rooms and can be released by any authenticated person there. This new SQR capability is available as part of our MPD module of our OM Plus product suite. It enables users to securely tap and release print jobs associated with different virtual print queues, at an enabled printer. The user releasing a job does NOT have to be the one that originally submitted the job. SQR is an embedded application which allows an authenticated MPD user to release print jobs assigned to “virtual queues” for printing on an associated physical printer. User IDs themselves at the device – usually card swipe or key entry on screen. We authenticate – we have multiple ways of doing this step (MPD User account, Imprivata, CAC/PIV, etc.). Once user is authenticated the job is routed to the device where the user is currently present. Device has screen – user sees all their jobs and chooses the ones to print. Eliminates misprints of jobs from other driver types. Same as above except after user authentication all the jobs for the user are printed. 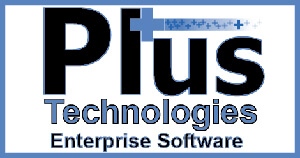 In addition, Plus Technologies has utilized the Xerox API to add the embedded MPD App to Xerox devices. MPD version 4 adds support for Elatec TCPConv2 network based card reader. 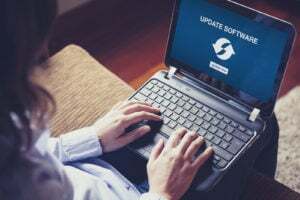 MPD 4.0 continues support for legacy embedded applications so device fleet updating is not required. To enable the new Secure Release functions, version 4.0 of MPD Server is required. Any devices requiring the new functionality would need the embedded application updated.